CLOSEOUTS. 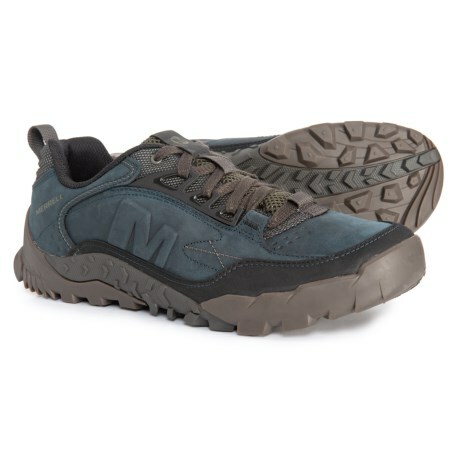 Wander confidently off the beaten path with the rugged, breathable construction and reliable grip of Merrelland#39;s Annex Trak low hiking shoes. Available Colors: SODALITE. Sizes: 7, 7.5, 8, 8.5, 9, 9.5, 10, 10.5, 11, 11.5, 12, 13, 14, 15.